Nokia and China Mobile have signed a one-year frame agreement, valued at up to EUR 1.36 billion, to help the leading Chinese mobile operator transition to a flexible cloud network infrastructure, providing seamless connectivity that will more efficiently meet the ever-growing data demands of its subscriber base. Both Nokia Networks China and ASB will provide services under the agreement. The agreement was signed at the Sino-German Economic Forum by Li Huidi, executive vice president at China Mobile, and Hans-Juergen Bill, executive vice president at Nokia and also chairman of the Board of Directors of Nokia Networks GmbH & Co KG in Germany. The German Chancellor Angela Merkel and the Chinese Premier Li Keqiang attended the forum. Under the agreement, Nokia will deploy its innovative 5G-ready AirScale Base Station, which allows multiple radio technologies to operate simultaneously in one base station and offers virtually unlimited scalability to support 5G speeds and IoT demand. Nokia will also provide additional elements of its mobile radio access and core portfolio in addition to fixed access, IP routing and optical transport, customer experience management, operational support system (OSS) and third party products as well as its global Services expertise. 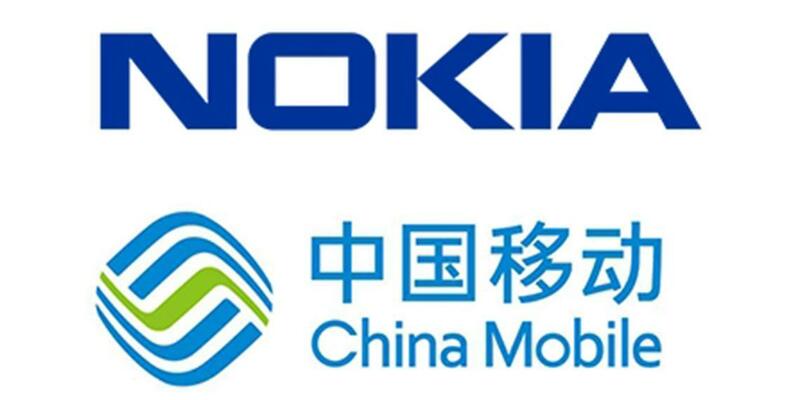 Going forward, Nokia and China Mobile will work closely to define the products and services that will enable the operator to meet ever-growing demands in a country where the majority of internet users - 620 million of a total 688 million - use mobile devices to connect. Mobile phones were the most popular choice for 71.5 percent of new users accessing the internet in China during 2015. The frame agreement builds on a longstanding relationship between the companies in developing, trialing and deploying new technologies to enable seamless cloud connectivity and faster, more affordable internet access to meet the demand as well as the evolution of networks to embrace the Internet of Things and eventually 5G. Mike Wang, president of the joint management team of Nokia Networks China and ASB, said: "This is a highly significant agreement with our longstanding partner; it strengthens Nokia's position as a leading provider of next-generation technologies in China, and reflects our larger footprint in the country following the acquisition of Alcatel-Lucent. We are committed to delivering mobile broadband capabilities that will allow operators to optimize their networks and open up new opportunities for them and their subscribers."